protective order Archives - В сложной финансовой ситуации приходит на помощь кредит наличными в Казахстане. Depositions are an integral part of a dispute’s “truth seeking” discovery process. This is where parties can depose a witness under oath and explore key factual issues and parties’ positions, both from a liability and damages perspective. Certain depositions can be introduced for purposes of substantive evidence at trial. 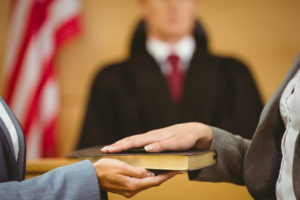 Other depositions can be used for purposes of impeachment in case a witness changes his/her position or story at trial. The significance of a deposition of a material witness in a civil case cannot be understated. If an opposing party wants to limit or prevent a deposition from moving forward, that party will file a motion for protective order based on its good cause reasoning to restrict that deposition. The burden is on that party to support its good cause reasoning. If the court grants the motion for protective order, an appellate issue arises. “When a party has been denied the right to depose an alleged material witness without finding of good cause to preclude the deposition, the trial court departs from the essential requirements of law.” Akhnoukh v. Benvenuto, 42 Fla.L.Weekly D882 (Fla. 2d DCA 2017). This gives the denied party the right to move for a writ of certiorari: “Certiorari jurisdiction generally exists to review the denial of a motion to compel the deposition of a material witness.” Id. (further explaining that a witness can be material even if relevant information can be obtained from a party). The trial court did not require Benvenuto [plaintiff] to establish good cause for the protective order. She based her argument on her [minor] son’s age, lack of maturity, and experience but provided no evidence. She also did not provide any evidence of how the taking of the deposition may be detrimental to her son. The trial court made no findings of good cause and departed from the essential requirements of law in prohibiting the deposition. Thus, we grant the petition and quash the trial court’s order granting the motion for protective order. The trial court in its discretion may take protective measures if necessary for the minor’s well-being, such as requiring that the deposition take place before the court or a magistrate. Is the “Bad” Appellate Case Binding or Persuasive? Motion for Rehearing or Reconsideration: What is the Difference? Caveat Emptor = Buyer Beware = Watch Out! Innovative or Alternative Fees Can be a Win-Win! Do I or Do I Not File a Reply to Affirmative Defenses? What Constitutes an Enforceable Contract? Just Say NO! to Frivolous Claims! Otherwise 57.105 May Apply! Is Your Expert Qualified to Render the Opinions? I Lost the Appeal. Should I File an Appellate Motion for Rehearing??? Pinning the Poor Against the Rich at Trial…Nope due to the Presumed Prejudice!